Kayode Fayemi won in 12 of the state's 16 local governments. The Peoples Democratic Party (PDP) has formally rejected the election result in Ekiti State. The electoral commission, INEC, declared Kayode Fayemi of the APC winner of the election held on Saturday. Mr Fayemi won in 12 of the state’s 16 local governments. The PDP’s Olusola Eleka won the other four local governments. In a statement by its national spokesperson, Kola Ologbodiyan, on Sunday evening, the PDP alleged that the election was rigged to favour the APC. 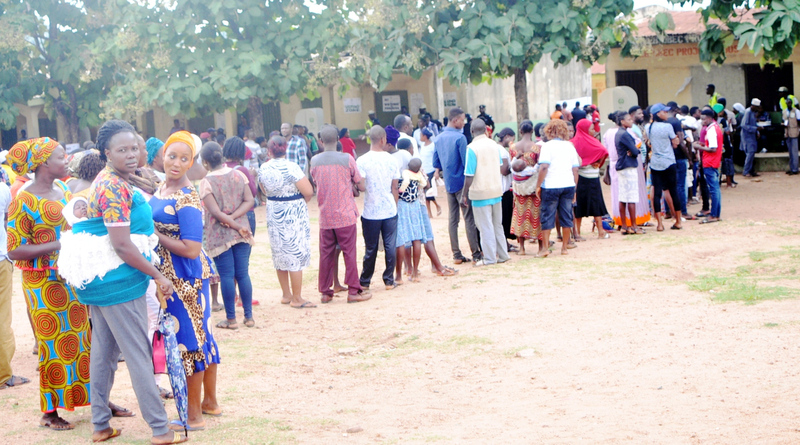 “From the authentic results flowing directly from the polling centers across the state, it is clear that the PDP candidate, Prof. Kolapo Olusola-Eleka, incontrovertibly won the election, with a very comfortable margin over the APC candidate, only for INEC to allow the alteration of results at the collation centers,” the spokesperson said.